We are having a good time. We saw seals yesterday. I love you. 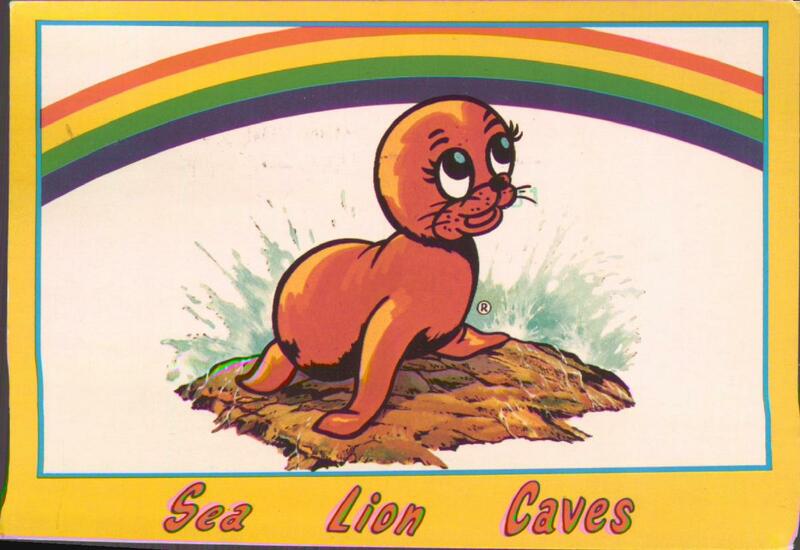 SEA LION CAVES, on the Oregon Coast, the world's latest sea cave. 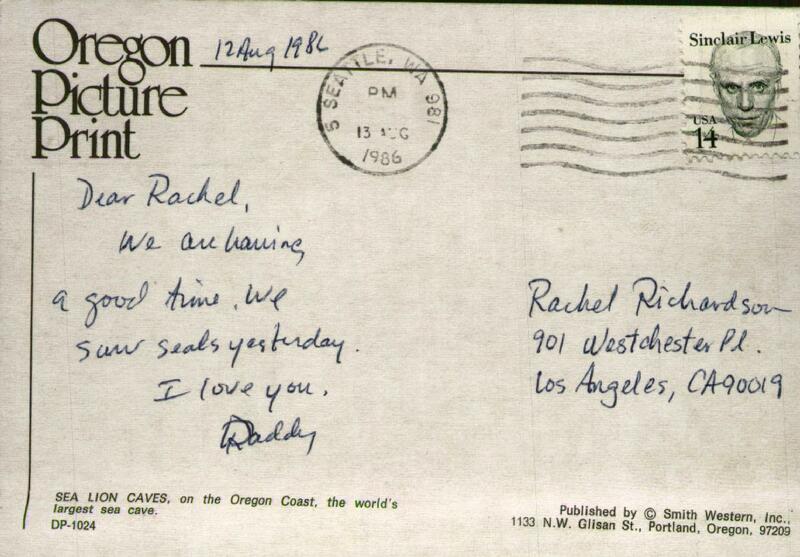 Note the cartoon rainbow--a surprisingly common postcard motif. Then again, it was the 80s.